What a nice mirror! This round mirror has a gold-colored metal shelf, which you can still use. Beautifully chic! 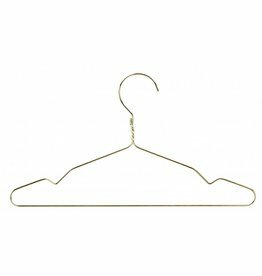 Beautiful gold coloured childrens clothes hanger from Madam Stoltz. 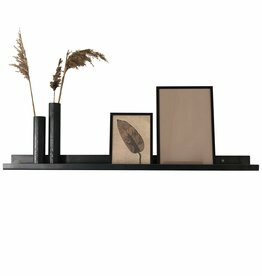 A brass rack for on the wall, wall shelf from Hubsch. Beautiful mat brass origami crane bird figurine of Liv interior. Beautiful round, gold-colored pendant with hook from House Doctor.